Alaska’s current fiscal crisis has highlighted the need to diversify the state’s economy and being one of the richest minerals jurisdictions on the planet, mining is an industry that could play a major role in future wealth creation in the Last Frontier. Alaska Gov. 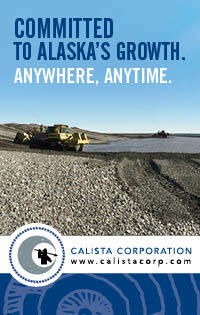 Bill Walker touched on mining’s role in the state’s future during a Nov. 15 address at the Alaska Resource Conference. “We have six large scale mines in Alaska, we would like to have 12,” he told the business leaders gathered at the annual convention put on by the Resource Development Council. While the governor’s remarks were welcomed by Alaska miners, many leaders in the sector believe that the state needs to do more to attract global mining companies and investment. “We could have 12 mines by 2039 – that’s a big goal but I think it could be done if the government will work collaboratively with the mine industry,” Millrock Resources President Greg Beischer said during a Nov. 16 presentation at the resource conference. “To make it happen, there has to be stability, certainty and good policy,” the minerals exploration executive added. Hecla Greens Creek Mining Government and Community Relations Manager Mike Satre delivered a similar message during the panel on putting new mines into production. “Everybody needs to play by the same rules and those rules can’t change when you are in the middle of the game,” the Greens Creek Mine representative said. While Beischer and Satre believe Alaska’s taxation and system for permitting mines is adequate, they worry that the state’s fiscal situation could have a negative effect on these two key elements to attracting mining investment. In the past, Alaska has maintained a good reputation for responsive mine permitting, which has helped to somewhat offset the longer and more cumbersome federal mine permitting regime in the United States. One federal issue that has hit Alaska hard in recent years was the Environmental Protection Agency’s attempt to put restrictions on Pebble before developer of the Southwest Alaska copper project filed for permits. While EPA under President Donald Trump is working to undo the restrictions attempted under the former administration, the negative publicity has not been good for companies wanting to explore Alaska’s rich minerals endowment. As mine permitting at the federal level is taking a turn for the better, Satre is concerned about how budget cuts could affect the state’s ability to do a thorough and timely job moving ahead. “If we can’t attract good people to work in our resource agencies, to be able to work on mine permits and regulate them in the future, that causes a little bit of uncertainty,” said Satre. “When permits are stacked up on a regulator’s desk and are not being able to be worked through in a timely manner that increases the cost of capital,” he added. The mining leaders have similar concerns that Alaska’s need for more cash might mean higher taxes in the state, which would steer minerals investments away. “People don’t want to invest money in our state if they think that money is going to be taxed and taken away from them, or their capital is going to be significantly at risk,” Satre said. Alaska’s current financial situation limit’s its ability to resolve the other major issue when it comes to adding new mines, the lack of infrastructure across most of the Last Frontier. “You either need to have world-class size and metal-grade or you have to have access to power and infrastructure,” said Satre. Fortunately, Alaska has rich metals deposits close to its limited infrastructure and mine projects with the world-class metals endowment to be developed well beyond the end of the road. The best example of this is Donlin Gold, which has both the size (at least 40 million ounces of gold) and grade (2.2 grams of gold per metric ton) to support the multi-billion-dollar development costs, including a 300-mile gas pipeline with a roughly US$1 billion price tag. 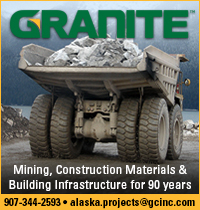 While the state government cannot afford to pay for roads, power and other infrastructure needed to develop mines at some of the other remote deposits across the Last Frontier, the Alaska Industrial Development and Export Authority has the wherewithal to fund and permit such projects. 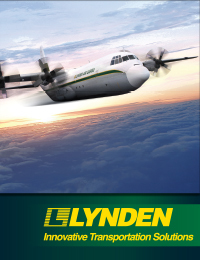 AIDEA was responsible for building the Delong Mountain Transportation System, a road and port facility that now delivers roughly 5 percent of the world zinc from Red Dog to world markets. Over the years, the quasi-state-owned authority has recouped the money it invested in building and maintaining DTMS and pays a dividend to state coffers from the profits it gets from ongoing tolls. AIDEA is currently working on gaining the permits to build a 211-mile-long road to the Ambler Mining District, one of the richest and highest grade minerals districts on the planet. Much like the road and port at Red Dog, the Ambler road will be paid for by delivering metals-rich concentrates from a mine at the Arctic project and other high-grade deposits Trilogy Metals and its partners are developing in this extremely metals-rich region of Northwest Alaska. Beischer said he touts AIDEA’s ability and willingness to develop mining infrastructure as he sets out to attract global miners and investors to Millrock’s Alaska projects. Despite the challenges, great geology gives Alaska a leg-up when it comes to attracting mining investments and the ultimate prize of building new revenue generating mines in the Far North state. “There is no doubt about the prospectivity of the rocks in this state – geologists really want to come here because we know there are other huge prizes like Donlin, Red Dog or Pebble,” said Beischer. Two of these prizes, Red Dog and Donlin Gold, are located on lands selected by Alaska Native corporations as part of the Alaska Native Claims Settlement Act. 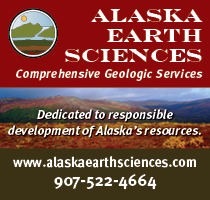 Satre said mineral rich lands owned by Alaska Native regional and village corporations are currently the best places in Alaska to explore for and build a mine. “The people that own the mineral rights have to be willing and able to partner with the companies going forward. Some of our greatest successes in the past, and in the future, are on ANCSA lands,” Satre told the crowd. “If I am an explorer, if I am a mine developer, I go to the ANCSA corporations,” he added. The biggest geological prize discovered in Alaska so far, Pebble, is located on state land. With roughly 56.8 billion pounds copper, 70.4 million oz gold, 3.4 billion lb molybdenum and 343.6 million oz silver in measured and indicated resource, Pebble has the potential to be a major source of jobs and state revenue for more than a century. The Pebble Partnership is set to file for permits to develop an “environmentally-optimized” mine at this world-class copper deposit by the end of the year. Beischer is convinced that other deposits with the world-class tenor of Red Dog, Donlin Gold and Pebble are waiting to be discovered across the state. “What I like most of all is we have barely scratched the surface in this state – we are going to find other major mineral deposits that could be mined,” he said. If Alaska wants additional mines to help employ more Alaskans and diversify the state economy, mining leaders urge the state to spread this message outside of local resource conferences. “We have state land that is designated for mineral development but I don’t believe the state is doing enough as a partner to promote development of those lands,” Satre said. He rejects the argument that as a mine regulator the state government is not in a position to promote mining. In a conversation with Mining News, Satre pointed out that the state actively promotes other resource sectors it regulates, such as natural gas and fishing. “They need to say it all over the world, in the board rooms of major mining companies to make sure they understand that this state wants their investment. If they do that, they are going to come,” he said. With an exploration-permitting-development timeline that is typically measured in decades, Satre points out that the number of mines in Alaska could lessen, not increase, without new projects moving through the pipeline. “If things stayed the way they are today we would be running out of mines in Alaska,” he said. Beischer pointed out that there are six major mining projects – Donlin Gold, Pebble, Livengood, Arctic, Bokan Mountain and Palmer – that are in the advanced exploration and development stage. “I really think the state government should do what it can to move the ones that deserve to get into production along as quickly as possible,” the mining executive said. “It is time to invigorate the mining industry – it is time to make it a cornerstone of a comprehensive economic development plan,” he added. Beischer said exploration companies will keep feeding new mining projects into the pipeline as long as the state is seen as an attractive mining jurisdiction. ”We’ll keep coming as long as the environment is favorable,” he said. While Satre sees a need for Alaska to be more proactive in ensuring it reaches Gov. Walker’s aspirations of 12 mines, he sees a bright future for the state’s mining sector.